As we approach Shavuot, when we celebrate receiving the laws at Sinai, I have a confession to make. I have always had an intense fear of upholding the Torah – literally lifting it in front of the congregation and fulfilling the honor of hagba. Torah scrolls come in different sizes, but the biggest is enormous, at least 40 pounds, and I do not lift weights. If you drop the Torah, I was always taught, everyone present must fast for 40 days. I have certainly seen people wobble when lifting it, which usually elicits audible gasps from my fellow congregants. Imagine accidentally ripping the Torah, whose 304,805 letters a specially-trained sofer spends more than a year handwriting with a quill and ink. I could not be responsible for such a scandal. So, I’ve avoided it all these years. And now that I am entering rabbinical school – at age 40, its own source of anxiety – I have realized that the time will certainly come when I am asked to do so. I could always invoke positional privilege and magnanimously ask someone else if they would like the honor! But, really, I should be able to perform this basic task. Yet I have never volunteered, and I honestly have imagined myself sneaking into my synagogue and taking out a Torah after hours for some practice at some point. On a recent Shabbat, however, an usher approached me at the beginning of the morning prayer service. The regular lifter was not able to perform the honor. Would I do it? My pulse quickened. I hesitated. I meekly confessed that I had never done it before. She looked around the room, gesturing to the largely octogenarian crowd, and then gave me a look and a shrug that said: “You’re really all we’ve got this week." I nodded slowly that I would do it, and then proceeded to spend the next 45 minutes before my big moment allowing Curb Your Enthusiasm’s Larry David to take over my brain. Maybe I could convince the usher to use the half-size Torah this week. Maybe I could slip out my phone and discreetly watch some last-minute instructional YouTube clips on lifting, or ask Rabbi Google for advice. My racing mind snapped into focus as the ark was opened. The one other younger congregant removed – of course – the jumbo-size Torah and led the processional. The cantor, who leads the congregation in song, soon nodded to me that it was time. As I approached, she leaned over and whispered, “Better you than me." I gripped the handles, carefully slid the Torah down the lectern for leverage, bent my knees, and lifted. I honestly do not remember how much it weighed. While it was in the air, I was not thinking about that at all. I got lost in the moment. Here I was, actually holding up the Torah for the community – physically now at this moment and soon metaphorically as a rabbinical student. It made me feel that I was indeed ready to take my next step in life. I felt proud and, yes, relieved when I sat down without incident. I also realized something. For me, accepting ownership has always come with fear. In fact, if I am not at least a little bit terrified, then I have probably not stepped up sufficiently. Just as teachers seek to find the “zone of proximal development” for students between too little and too much challenge, I think there’s a “zone of proximal responsibility,” too. I had been seriously under-challenging myself. I did not suddenly develop the ability to hoist the Torah. I was clearly capable of doing it for years, but I was scared. Scared of falling on my face, scared of making a fool of myself, scared of letting other people down. Yet once I got over my own fears last Saturday, I was able to open my eyes to all of the courage around me. I saw the volunteer who chanted Torah publically for the first time in her life. I noticed that a mourning congregant had to steel herself up during the remembrance prayer, and risk breaking down crying, to share the name of a loved one. I recalled the man who moved his trembling finger across his prayerbook as he tentatively recited a blessing before the Torah reading. It helped remind me that some people are facing their fears all of the time, and it allows to build a community of strength together. 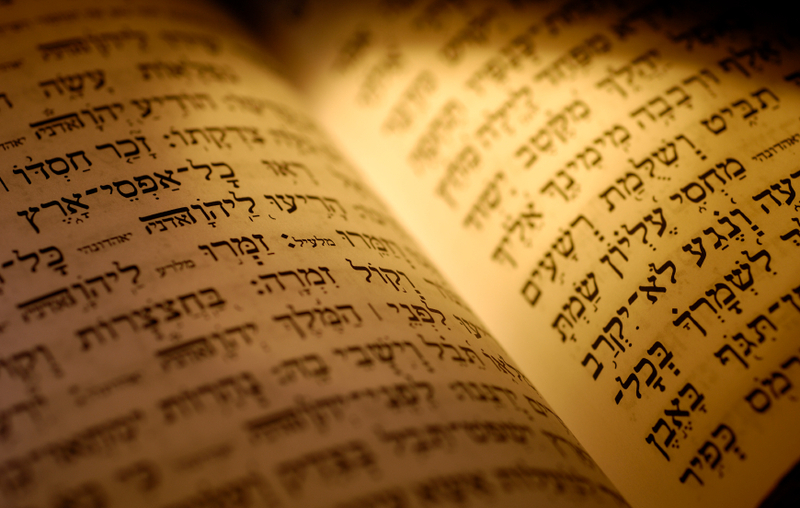 So, I am wondering: is there a Torah that you know you need to lift – but haven’t for whatever reason? Perhaps there’s an area where you sit back and let others bear the burden. What might be hard for you about stepping up? We often see fear as something to escape, but consider what happens when we see it as something to embrace. Do we know that we aren’t the only ones who may be nervous and that we aren’t carrying the weight alone? This Shavuot, let us celebrate the responsibility of the Torah and the lessons it teaches us to stand up and do our part. Andrew K. Mandel begins his first year as a rabbinical student at Hebrew Union College-Jewish Institute of Religion this summer.